The RR-Net by individual Computers plugs into the expansion port of the MMC Replay, MMC64, Retro Replay or the new IDE64 V4.1, and allows the C64 to connect to an intranet. RR-Net is shipped with Contiki. The links were last reviewed on 01.02.2013 and will not be updated in the future. Q: What is the difference between RR-Net and RR-Net (old)? A: The current RR-Net has been designed to harmonize with the MMC Replay: Plug the new RR-Net to the MMC Replay, they will fit together in one cartridge case. Even though the old RR-Net works with MMC Replay technically, its connector points upwards, and therefor it would overlap the freeze/reset button. Similar problems appear with the new RR-Net when you try to plug it to a Retro Replay: Because the network connector points to the right, the network cable would overlap with the freeze/reset button (see photo). 0xPaint is a bitmap editor for Windows. 0xPaint includes CodeNet and VICE support, so it's very easy to create compiled pics either on a D64, or a floppy. 64net/2 makes it possible to use a PC as file server for the C64. By the use of parallel link-up, high loading and saving speeds should be achieved. Due to RR-Net, the latest expansion of 64net/2 allows connecting several C64s to one file server. Arc64 by Graham is a small tool to deal with D64, T64, LNX and ZipCode archives. It also can be used to transfer and start PRG files directly on the C64 via CodeNet. 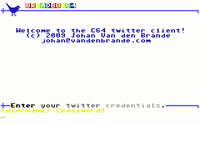 Breadbox64 is a twitter client for the C64/128 which allows you to tweet from a real C64 and show your friends timeline. It is based on Contiki, and requires the MMC Replay cartridge with the RR-Net add on for the physical connection to the net. Contiki is an operating system that offers many features in very small space: A TCP/IP stack, a web browser, a web server, a VNC-client and of course a graphical user interface. To make use of all features of Contiki, an intranet with router should be available. You can go here to download the config file for Contiki v2 with your network settings or download the complete disk images. The config file also works for Breadbox64. DiskImagery64 by lallafa is a portable drag & drop D64 Disk Image Editor for Mac OS X, Linux and Windows. Network support: Download programs or share disk images as NetDrives with a single click to a real C64 with RR-Net and The Final Replay ROM. Main Feature in 0.7: Added full WarpCopy support. geoLink by ShadowM offers IP65 (a TCP/IP stack for RR-Net) implemented into GEOS as well as a small chat client for it. GuruTerm by RaveGuru is a C/G (Petscii) Telnet terminal for C64 and C128 with RR-Net or (E)TFE. 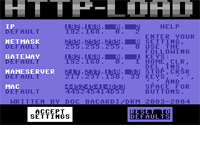 Http-Load by Doc Bacardi is a kind of fastloader for your C64. However, it doesn't load programs from a floppy but via a webserver. Http-Load needs a MMC Replay or Retro Replay and the RR-Net card to run. It features DNS support and a little GUI for the settings. mwc by Jockstrap is a command-line Linux client for Graham's WarpCopy64 V0.6 server, allowing you to transfer disks from your 1541 to your Linux system through the RR-Net ethernet adapter. NETMON by Hannenz is a cross development tool for RR-Net that allows full remote access from PC side of C64 memory - including REU support and disk drives. Investigate memory as dump, petascii, disassembly, send and receive from/to mem from/to files, read disk drive directory and so on... For Linux/Unix and Win32. NIC-Test by Devia is for testing the stability of Commodore 64 ethernet cards based on the Crystal Semiconductors CS8900A chip. 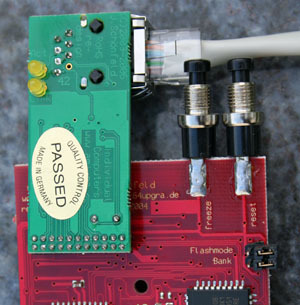 Supported Ethernet Cards: RR-Net, The Final Ethernet (TFE), FB-Net, Net64, 64NIC and CCCC 64NIC+. Sidplay64 by SHAPE is a program that can playback .SID files from the High Voltage SID Collection on a real C64/C128. Next to other mass storage devices, V0.7 supports directory browsing via Netdrive + The Final Replay ROM with RR-Net. Works best with JiffyDOS and/or a fastload cartridge. 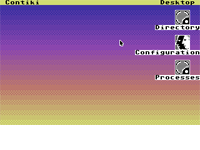 Singular browser by Soci is a graphical web browser for C64/C128 with RR-Net or (E)TFE. UDPSlave by MagerValp is a transfer system for RR-Net that's so small that you can type it in. 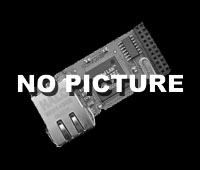 Works with MMC Replay, Retro Replay, MMC64, and SuperSnapshot with an RR-Net plugged in. WarpCopy64 by Oxyron. With the RR-Net you can transfer disk images extremely fast. It runs under Windows and enables the transfer of D64 and D81 files from PC to C64 and vice versa. Artillery Duel has been ported by Schema to work over the internet or LAN with RR-Net or ETH64! Play with two players over the Internet or LAN (turn-based) and chat. 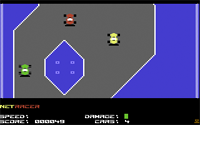 NetRacer is a simple racing game written to demonstrate the potential of multiplayer games over the Internet with the Commodore 64. It features eight simultaneous players over the Internet or LAN!